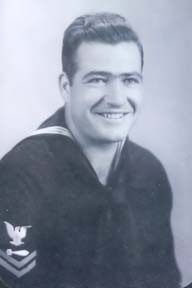 While stationed on the USS West Virginia, he was assigned to artillery - the big guns. He was missing for a while after the attack on Pearl Harbor; but was found alive and healthy. On October 25, 1958, he married widow Marion Louise Wood. He became a father of three overnight (one son & two daughters) and later had another daughter with Marion. He retired from the Navy in 1960 - last duty station New London, CT - guarding the subs in moth balls. Immediately after his naval retirement, he became a civil service employee, a messenger at the Portsmouth Naval Yard in New Hampshire. In 1972, he retired completely and moved to Sunny Hills, Florida. His final move was to Wilmington, North Carolina where he passed on in 2004. Curtis was survived by his wife, Marion, and their four children, William, Faye, Gloria & Mary, eight grandchildren and eight great grandchildren. All of whom had the pleasure of knowing and loving a wonderful, kind, caring man.